A must for palm collectors! 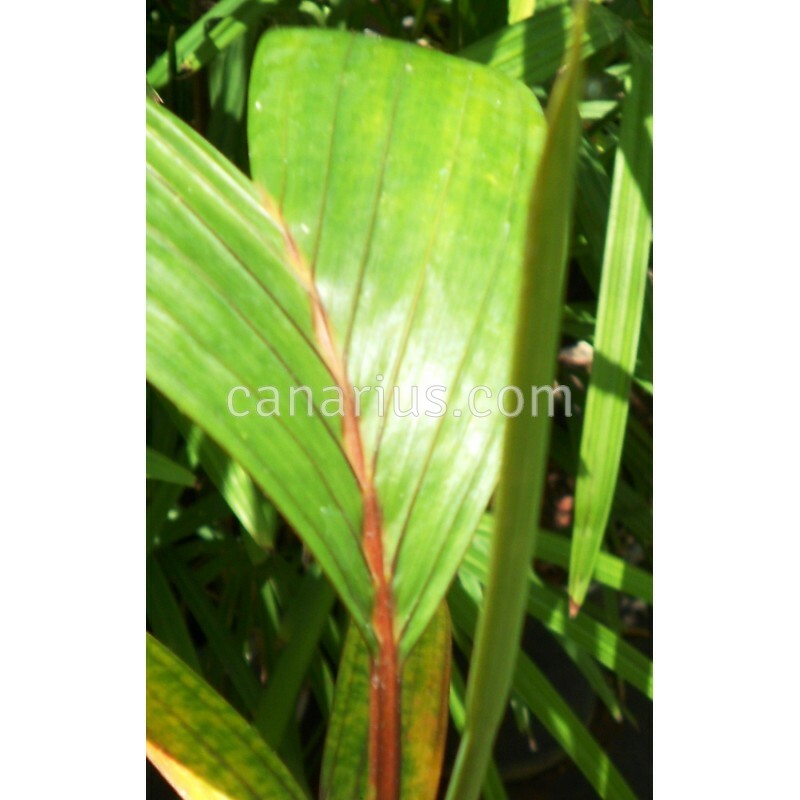 This gem suitable for Mediterranean conditions is an uncommon variety of the spectacular red-leaf-palm. In this case the crownshaft is yellow and the new red leaf is MUCH MORE RED ! It is slow and easy just as the plain species and will take short light frosts. 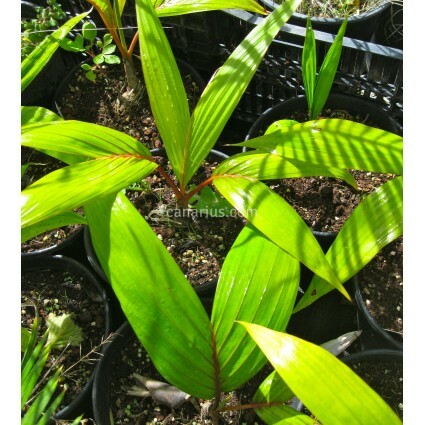 We offer a potted palm of about 2-3 years of age from seed.